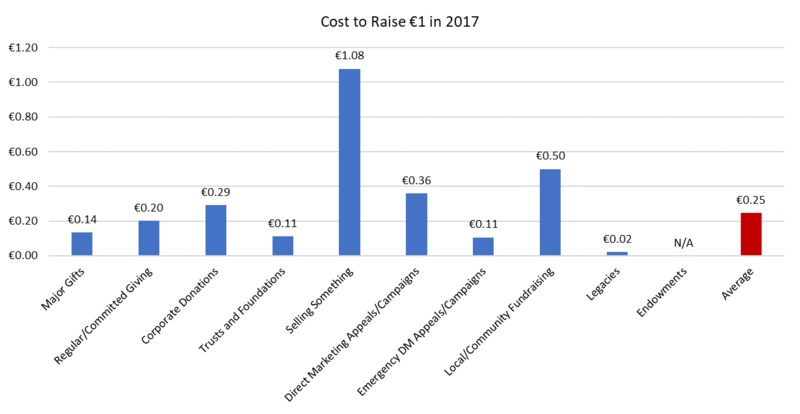 Did you know that the average cost to raise €1 in 2017 was 25c? Are you underinvesting or overinvesting in fundraising? Do you know how you’re performing compared to the rest of the sector? If not, The Monitor is your source of knowledge. Participants are asked to submit their fundraising performance on a quarterly basis. Our team of analysts will then benchmark your performance against your relevant subsector and against organisations of the same fundraised income. Seeing the current trends is not enough; we need to understand them. Participants forums are offered every quarter to discuss findings with other participants. Each participant may have one “learning lunch” per year, where your fundraising team can discuss trends and findings with our analysts. Do you have an upcoming Board meeting and need additional stats on fundraising? Contact our analysts and see if they can help you. We know that dedicated research can be tough to find, let us help you find it. If you join as part of a group or are members of The Wheel / FundingPoint / Dóchas, we can offer you high-quality discounts on your first year as part of The Monitor. If you would like to discuss The Monitor, please contact Darren McMahon at +353-1-234-3127.